Came to live in Horwich in 1900. Father in law of Edwin Toohey, Chairman of Horwich UDC 1958-59 and 1965-66 who married his daughter, Rosamund Jane Chipchase in 1947. 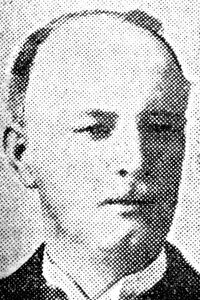 Represented East Ward from 1921, retiring in 1932. First Chairman of the Electricity Committee from 1924 and on 16 December of that year he switched on the electricity supply to Horwich. He was also the local representative on the East Lancashire Electricity Board. During his term of office he presided at the official opening of Ridgmont Cemetery on 3 March 1928, when the gates were opened by Councillor Frank Taylor. He was a Council School Manager and a Governor of Rivington and Blackrod Grammar School. As a trade unionist he was an active member of the Amalgamated Engineering Union (AEU) for many years and was on the Lancashire and Yorkshire and LMS Lines Joint Committee.